There’s nothing quite like being able to relax in a private pool on a hot summer’s day, but it’s essential to ensure the kids can’t enter the pool unsupervised. A wrought iron fence around your pool in Perth can improve the area’s safety, but it can also work wonders for your home’s overall aesthetic appeal. Plus, wrought iron is arguably the best material to manufacture pool fencing for many reasons, from being easy to maintain and appearing timelessly stylish. At Impact Wrought Iron, we’ve been a leading provider of wrought iron garden installations, from pool fences to driveway gates, for over 20 years, and we come highly recommended thanks to being able to custom-make products efficiently and to a high standard. 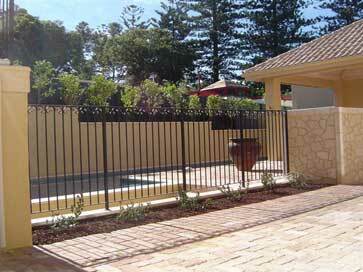 However, why is wrought iron advantageous over other materials for pool fencing in Perth? Easy Maintenance: Glass balustrades aren’t too challenging to clean, but it only takes a matter of hours for stains to become visible. 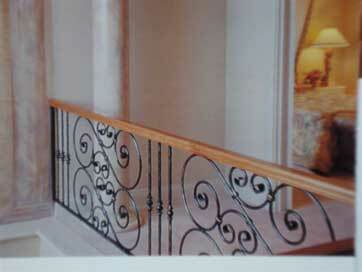 Wrought iron, on the other hand, maintains its new appearance with just a periodic scrub. Luxurious appearance: Wrought iron looks attractive and adds a touch of elegance to any pool area. Extra Durable: Wrought iron is highly resistant to corrosion and the elements, meaning you can depend on your wrought iron pool fencing in Perth to last for years to come. Thanks to its unrivalled durability, strength, and timelessly stylish appeal, you can feel confident that our wrought iron fencing is a high-value purchase. Also, our custom-made solutions could increase your home’s value while making it more appealing to buyers, meaning your new fences could virtually pay for themselves should you choose to sell your property. If making your house enticing to potential buyers is a necessity, you might be interested in learning more about our product range. 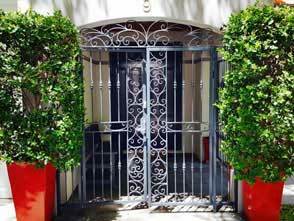 Security Gates: If you want to bolster your home’s security without ruining its aesthetic appeal, then we can manufacture the perfect gates for you. Fencing: Pools aren’t the only garden feature that we can beautify with wrought iron fences; we can create border fences, enclosures, or anything else you require. Balustrades: Our iron balustrades can enhance the visual appeal and security of any outdoor or indoor feature, from stairs to patios. Designing the perfect outdoor space isn’t straightforward, especially when you need to keep practicality and style in mind. Fortunately, we can tailor solutions to meet your particular requirements, and despite being cost-effective, we provide the highest-quality wrought iron fences on the market. Contact our team of knowledgeable and friendly professionals to learn more about pool fencing in Perth.